Oxford Film Festival Take 5 With...: Check your attics and closets! Check your attics and closets! The Oxford Film Festival and the University of Mississippi’s Center for Documentary Projects present HOME MOVIE DAY on Saturday, August 11, 2007, 1:00-4:00pm, at the Powerhouse Community Arts Center (413 University Ave., Oxford). The event will be free and open to the public. Home Movie Day was created in 2002, when a small group of film archivists decided to go beyond traditional methods to try to save the countless reels of home movies shot on film during the 20th century. The first Home Movie Day on August 16, 2003 was an unexpected success, with over twenty cities in four countries participating. In each following year, Home Movie Day grew bigger still, with as many as four dozen venues taking part from Australia to Arkansas. Currently, Oxford is the only participating venue in Mississippi. Click here for an up-to-date listing of HMD venues and participants. Each Home Movie Day features a “film clinic” for assessing the condition of older films, information about how to care for family films and videos, and – best of all – continuous screenings of home movies brought by members of the community. Archivists will discuss historic films preserved in their collections, and preservation specialists will talk about the advantages and limitations of transferring film from older formats to digital media. All films will be inspected and projected on a first-come, first-serve basis, with a time limit of 20 minutes per film. Damaged films will not be screened. Equipment will be on-hand to screen dual 8mm, 16mm, VHS and DVD formats. Home movies document local history and give a chance, in the words of filmmaker John Waters, “for family memories to suddenly become show business.” We are looking forward to seeing what cinematic treasures lie in Oxford’s attics. 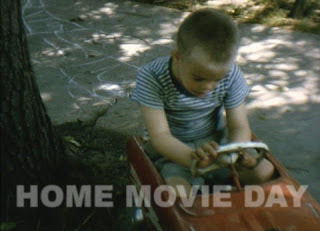 For more information on Home Movie Day, please send us an email: info [at] oxfordfilmfest.com.